Photo 1 of 48, SOLD! Nice 1967 Camaro Convertible! SOLD! Nice 1967 Camaro Convertible! Sorry SOLD! 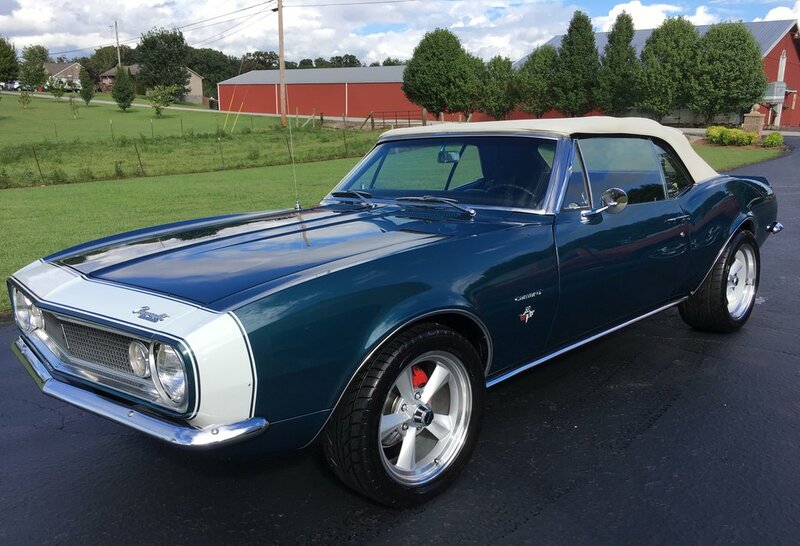 Just in one nice 1967 Camaro Convertible! 350 Engine, Auto Trans, 4 Wheel Power Disc Brakes! Power Steering! Engine and Trans have been rebuilt per the previous owner. This is a nice original body panel car that looks to be rust free, looks great underneath. Car has nice trunk pan as well. Has really nice exterior paint with white top. Clean detailed black bucket seat interior with Console. Very hard to find an original body panel car in this condition! Camaro RUNS & DRIVES great! New Wheels and Tires....great sounding Flowmaster Exhaust! Call for details 606-878-5839 or 606-521-4156. Album by Herman's Classic Cars, LLC. Photos by C. Bowling. 1 - 48 of 48 Total. 5132 Visits.